In 2015, the average person shelled out $142.31. U.S. chocolate sales estimate: $244.9 million. U.S. sparkling wine sales estimate: $23 million dollars. Speaking of wine and chocolate, let’s explore information and pairings that will make this VD even more special and memorable for you and the special person in your life. 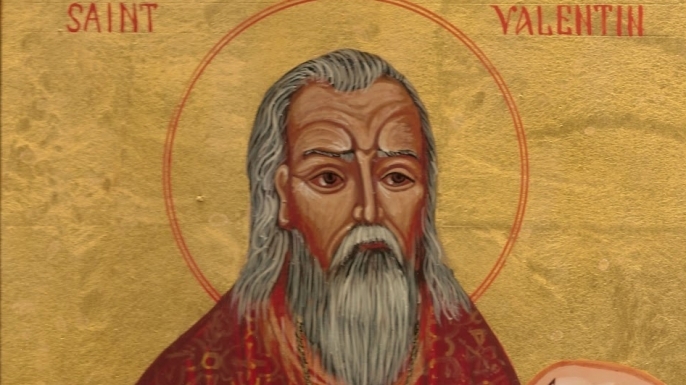 Valentine, who was a priest, defied the order of the emperor Claudius and secretly married couples so that the husbands wouldn’t have to go to war. The legend claims that soldiers were sparse at this time, so the emperor was pissed at Valentine for his marriage strategy, imprisoned him and sentenced him to death. Knowing Valentine as a man of faith, his jailer asked for V’s prayers to cure his blind daughter. Lo and behold,Valentine’s prayers healed the jailer’s daughter, but V’s execution was inevitable. Nonetheless, on the day of his beheading, V left the jailer’s daughter a note that was signed “From Your Valentine”. The first known Valentine’s Day card was sent around six hundred years ago by Charles, Duke of Orleans, who wrote to his wife while he a resident of the Tower of London. Many of the current legends about Saint Valentine were invented in 14th C. England by Geoffrey Chaucer. In his work “Parliament of Foules,” he links February 14th as the day birds (and humans) come together to find a mate – an association that didn’t exist until after his poem received widespread attention. 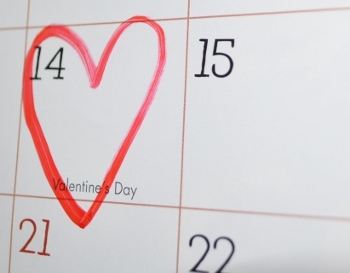 The patron saint of engaged couples and happy marriages, St. Valentine is also the patron saint of beekeepers, epilepsy, fainting, traveling and the plague – a very busy saint. Sadly, while on this earth, St. Valentine never had the opportunity to enjoy chocolate. 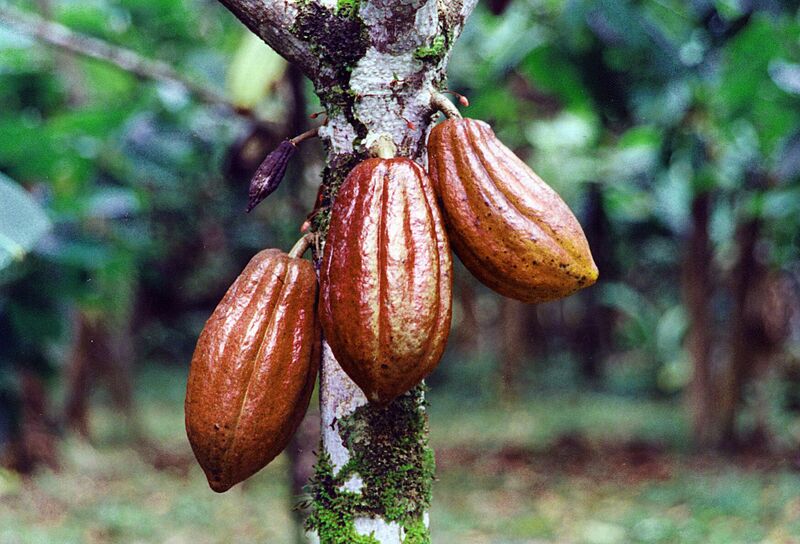 The history of chocolate begins in Central America (Mexico, Belize, Guatemala, El Salvador, Honduras, Nicaragua and Costa Rica). Chocolate – fermented, roasted and ground cacao beans – can be traced to 2000 BC. 600: Mayan Culture cultivated cocoa plantations and used cocoa in religious rituals. 1200: Aztecs drank a thick, cold, unsweetened drink called xocoatl; cocoa beans were used for currency. 1513: A member of Spanish expedition bought a slave for 100 cocoa beans; the services of a prostitute for 10 beans; 4 beans got him a rabbit for dinner. 1528: Cortez brings chocolate to Spain and mixed the beans with sugar, vanilla, nutmeg, cloves, allspice, and cinnamon making a coveted beverage reserved for Spanish nobility. 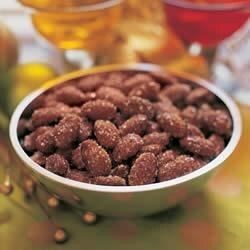 1671: In the Duke of Plessis-Praslin’s kitchen, a Chef’s helper drops a bowl of almonds. In his attempt to “box the ears” of his kitchen boy, the angry Chef accidentally spills a pan of hot, burnt sugar over the almonds. Chef tastes the sugar coated almonds and sez: “Hmmm, that ain’t all bad.” Chef serves the gourmet Duke the almonds coated with cooled, burnt sugat. The Duke is not only delighted… he is inspired to name this new confection: “praline”. Chef eventually writes an award-winning book called “Making Lemonade out of Lemons”. 1730: The steam engine mechanizes the cocoa bean grinding process…the price of chocolate drops from three dollars or more per pound to within financial reach of all. 1765: The first U.S. Chocolate Factory opens in Dorchester MA. 1780: The first machine-made chocolate is produced in Barcelona. 1828: The Cocoa Press is invented: further reducing prices while improving the quality of the beverage by squeezing out part of the cocoa butter. 1875: Milk Chocolate Comes of Age: Daniel Peter (Switzerland) puts the first milk chocolate on the market. Like bratwurst and fondue, Swiss chocolate will soon become a national dish. 1913: Filled Chocolates: Swiss chocolatier Jules Sechaud introduces the process for filling chocolates. 1938 – Today: The U.S. government recognized chocolate’s role in the Allied Armed Forces. 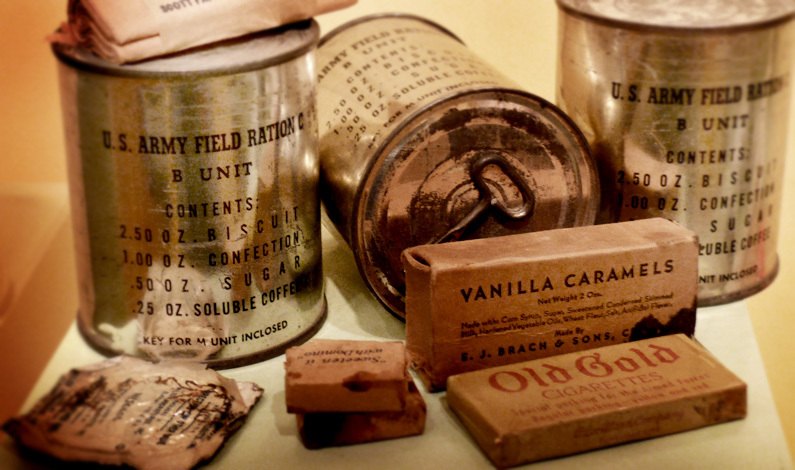 Today, the U.S. Army D-rations include three 4-ounce chocolate bars. Chocolate is part of the diet of U.S. astronauts. 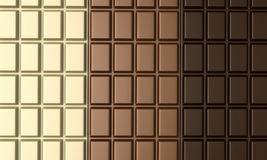 Technically, white chocolate isn’t really ‘chocolate’ because it doesn’t include cocoa, just cocoa fat. However, this fact makes it one of the more versatile pairings with wine. Recommended: Rosé Port, Ice Wine, Orange Muscat, Moscato d’Asti, Sweet Tokaji, Lambrusco, Ruby Port, Brachetto d’Acqui. A truly great milk chocolate will appease even the most ardent dark chocolate lover. The ganache filling inside of truffles is usually half cream and chocolate adding extra fat so it works better with more wines than dark chocolate. Recommended: Creamy Sherry, Vintage Port, Muscat, Late Harvest wines, Madeira, Tokai, Sauternes. Caramel adds sweet salinity to chocolate. Caramel chocolates are the perfect harmony of sweet, salty, fat and bitter. A true dark chocolate has a minimum of 35% cocoa solids, but the numbers get even higher than that. Dark chocolates typically don’t like to share ‘palate space’ with other bitter, non-sweet things (i.e. dry red wines with high tannin wines). Recommend: Vin Santo, Port, Late Harvest Zinfandel, Banyuls, Maury, Barolo Chinato. NOTE: The spicy, dark fruit flavors of the Barolo Chinato were perfectly suited to the dark chocolate and nutty desserts – in fact, the darker the chocolate, the better the pairing. Wine & Chocolate Pairings: Plan A or Plan B? Chocolate with nuts pairs well with Pinot Noir whose ripe, red fruit, lighter body, and silky tannins works well with smooth milk or dark chocolate and nutty flavors – plus the saltiness of the nuts bring out Pinot’s rich flavors. Amontillado or Oloroso Sherry is KILLER! A medium-bodied Merlot is the perfect companion – melt-in-your-mouth goodness. White chocolate-dipped strawberries or fruit work well with Chardonnay. Well, gotta fly – for some reason I gotta hanckerin’ for something sweet. Enjoy the holiday weekend and Happy President’s Day!